30mm Victorian Glass Knob The Liberty 1-3/16 in. 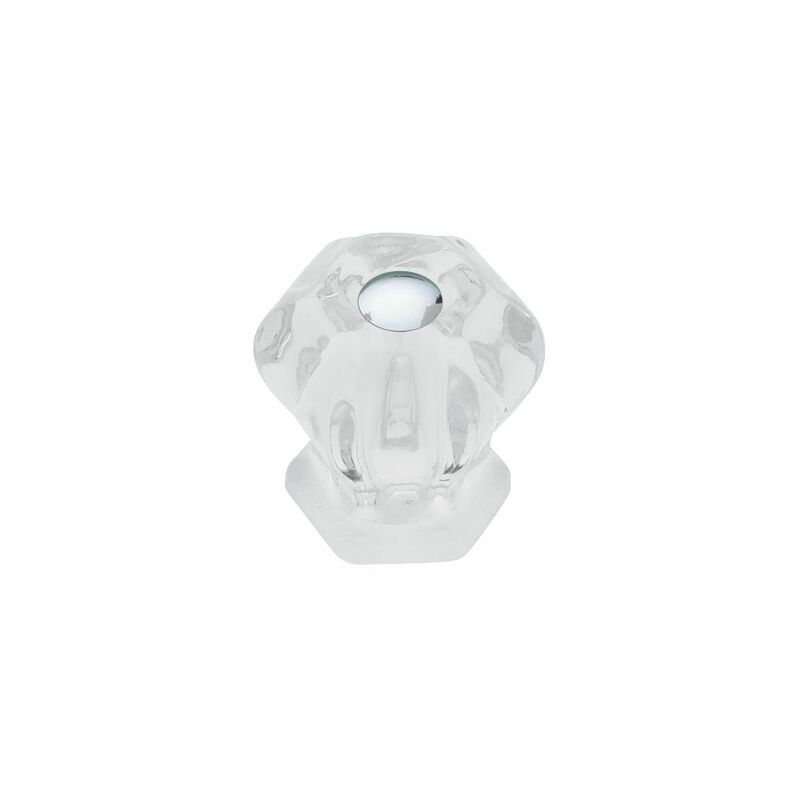 Clear Victorian Glass Knob recalls that elegant period in decor. The crystal clear finish provides a sophisticated complement to your cabinetry. Update your cabinet hardware to give the room a brand new look. 30mm Victorian Glass Knob is rated 4.8 out of 5 by 17. Rated 5 out of 5 by Jerry from Very pleased with these knobs. I needed to match as close as possible some very old glass knobs ... Very pleased with these knobs. I needed to match as close as possible some very old glass knobs in my home and these worked fine. They look great. Rated 5 out of 5 by puddin from these glass knobs are beautiful, they reflect light and are delicate enough to to meet an antiqu... these glass knobs are beautiful, they reflect light and are delicate enough to to meet an antique look and yet strong enough to be useable. be careful when thghtening them, they are glass and are breakable. Rated 4 out of 5 by Ed from Look nice.... Look nice. Rated 5 out of 5 by Marie from I love these cabinet knobs. They were easy to install and they look perfect on my furniture. Th... I love these cabinet knobs. They were easy to install and they look perfect on my furniture. They add such a beautiful touch with their Victorian charm and have transformed my piece of furniture from shabby to chic. Rated 5 out of 5 by Annette from Love these knobs. I had purchased an antique piece of furniture and it had glass knobs on it. I h... Love these knobs. I had purchased an antique piece of furniture and it had glass knobs on it. I have the piece in my kitchen so I wanted to match the kitchen cabinet knobs with the ones on the antique piece. These where the closes I could find, but look awesome. The installation was pretty easy as well.